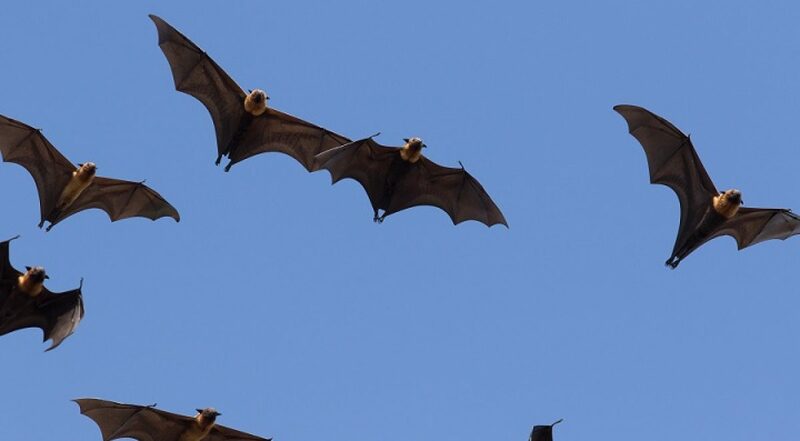 Learn how to count the population of grey-headed flying-foxes (GHFF) as they fly out from their camp at dusk beside Wolli creek at Turrella. You will be contributing to research on the population dynamics and movement of this now Vulnerable native mammal species. The sight of thousands of GHFFs flying out in the evening is really something – a real David Attenborough nature experience. We meet in Turrella Reserve, down near the footbridge over Wolli creek. Meeting time is confirmed during the week prior as it is dependent on the natural elements including cloud cover, heat, and wind. Meeting point is at the footbridge at the bottom of Henderson Street, Turrella which is also reachable by a short walk from the end of Finlays Avenue, Earwood.